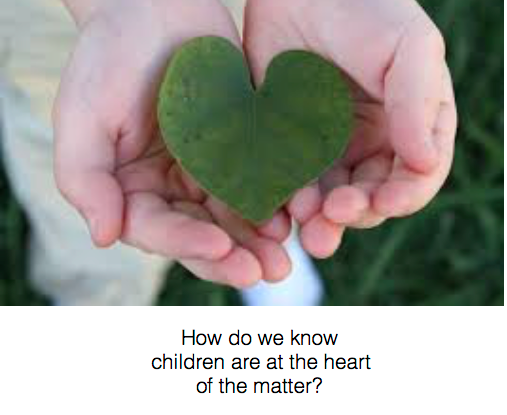 Waitangi and we understand this has implications in all of our practice. Ka Hikitia is another document that guides us in our practice.It offers schools and teachers practical applications of core principles that provide a foundation for culturally responsive practice. Ka Hikitia means "to step up, to lift up or to lengthen one,s stride. It means stepping up how the education system performs to ensure Maori students are enjoying and achieving education success as Maori.This strategy acknowledges the importance that values, identity, language, and culture play in a Maori learner's education' The five guiding principles of this strategy are The Treaty of waitangi; Maori potential approach; Ako-a two-way teaching and learning process; identity' language and culture count; and productive partnerships. Working with a policy framework like Ka Hikitia runs the risk of becoming a new compliance requirement rather than a broad commitment to improve education for Maori learners and if we are to make a committed difference to the learning outcomes for Maori then it is our attitudes,thinking and behaviours that must change so this framework will be effective. I was reading a learning story this morning at a centre where teachers have reflected on the pedagogy that impacts on the happiness and learning for their Maori tamariki. This story was about Gabriel’s taonga, a beautiful book about the story of his journey as a premature baby along with photos of his whanau. Embedded in this story were the words Whanau where life begins and Aroha (love) never ends. This story within his portfolio will add to such a meaningful learning journey that will strengthen the image he will have of himself as a learner and as a person, a child deeply loved by his whanau and having this taonga also treasured by his teachers. It is also an example of Tīkanga whakaako: Learning and teaching within a Māori context based on whanaungatanga and nurturing the child, the soul , within a Maori context and strengthening the relationship between Gabriel and his whanau in such a meaningful way. It also is a lovely example of the principle of Family and Community underpinning the curriculum. The wider world of family and community is an integral part of early childhood curriculum. This learner identity can strengthen in many ways and as Nathan Mikaere Wallis reminds us, this is the important learning for children up until the age of seven. My background as a New Zealander, brought up in the King Country with many Maori friends at school together from early Primary through to High School. They used to buy me lollies from the school tuck shop, they were my mates and we shared good times together. Schooling was the same for us all with no reference to culture or past NZ history that affected family and whanau through World Wars and the breaking in of a young country, the falling of forests and I can still remember the large scale burning of fallen bush to create new farm land. No mention of who our land may have belonged to that was given to my Grandfather as a ballot when returning from the Boer War although Maori were part of the community, they shore our sheep and were always involved in seasonal work. Mum said they were always there, the largest Pa site “Gateway to Taranaki’ once stood on the high hill of our farm boundary. No reference to past land wars during our school days so ignorance was bliss, there was nothing to worry about, we were all one, schooling was for the good of all. As I look back on these idyllic days I can now reflect on the severe changes over time for Maori whanau, sixty years ago many of these families were still living rurally within whanau based communities, changes that forced many whanau members to move to the cities to find work wasn’t foreseen but coming to understand NZ history and the harsh realities of losing land, ways of being and doing, te reo outlawed in schools and culture marginalised I can only but guess at the hurt and anguish engrained on heart and soul for many Maori that were part of my life. As time has passed I have come to realise that education for Maori was driven by policies, strategies and initiatives designed to assimilate Maori into the dominant European group (Simon and Smith 2001) culture was not considered an important factor in Maori succeeding within education. I am here to learn from others and look forward to sharing our thoughts on strengthening language, culture and identity and ways to strengthen our bicultural curriculum Te Whāriki underpinned by Te Tiriti o Waitangi. Below is a link to the resource that guides my teaching practice. Having these standards as part of this blog will assist me in lining up my ideas with the individual standards and may also help readers understand my thinking. 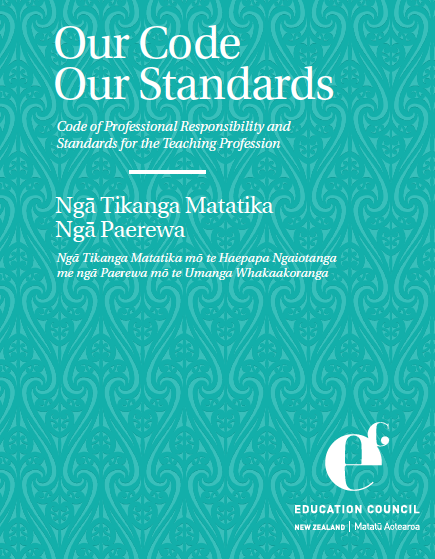 The Code of Professional Responsibility and Standards for the Teaching Profession has been crafted by teachers, leaders and teaching experts to articulate the expectations and aspirations of our profession. 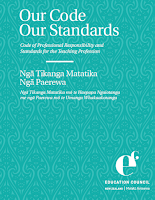 The Code sets out the high standards for ethical behaviour that are expected of every teacher; the Standards describe the expectations of effective teaching practice. Together they set out what it is, and what it means, to be a teacher in Aotearoa New Zealand. The Code and Standards apply to every certificated teacher, regardless of role or teaching environment. The Code also applies to those who have been granted a Limited Authority to Teach.